The Incredible Journey, a Terrific Audiobook! Audiobooks are great for guys. Audiobooks also are great for summer, when guys are often in the car traveling on vacation. (The CARLMAN likes to listen to them as my starcruiser makes the jump through hyperspace) Nothing makes the time go by as quickly as listening to a good story. That why I love to tell you when I find a good one and I certainly heard a terrific one this weekend. 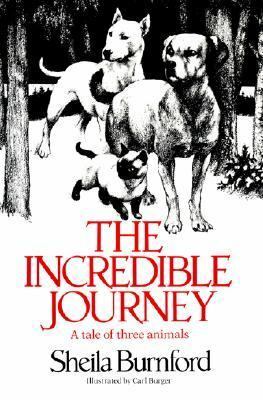 It was The Incredible Journey by Sheila Burnford. You've probably seen the two Disney movies with the talking animals that were based on this book. (There was an even older version from waaayy back in the day, but I bet you haven't seen that one!) Well, those were good but they don't give ANY idea of how thrilling and rough and rugged the original story is! This isn't some cutesy animal tale but real nature, "red in tooth and claw", where survival does not come easily! There are three animals, a bull terrier, a Labrador Retriever, and a Siamese cat, who are staying with a man up north in the Canadian woods. He's taking care of them while their real owner is gone and, when he goes on a hunting the trip, the three are accidentally left by themselves. Their instinct to return to their real home overtakes them and they head off. The problem is that their home is 300 miles away through the untamed Canadian wilderness! And this is back before there were cell phones or GPS, so no one knows they're gone! How can three pets possibly survive alone in the dangerous wilderness? Well, you'll find out when you listen to this truly incredible story! Megan Follows reads this story perfectly, pacing the action just right to give it maximum excitement. If you have to spend some time in the car this summer, I couldn't think of a better way to pass the time! And if you want to find out about other good audiobooks, look for the "Labels" section on the left-hand side of the page and click on "audiobooks." Happy listening! 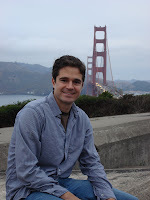 Hey, everyone, this is the still-very-busy CARLMAN coming over the blog wires with a fabulous interview. Today we're honored to have Wes Tooke, author of that terrific book Lucky: Maris,Mantle, and My Best Summer Ever. (see my review here) It's the story of Louis May, who becomes a bat boy during the 1961 Yankees season when Roger Maris has a chance to pass Babe Ruth's record for most home runs in a single season. Does he make it? Ah, reader guys, you'll have to check it out to find out! You'll really enjoy it if you do, though. As a matter of fact, I just looked it up on the library's catalog and almost all our copies are checked out! So a lot of you already know how good this book is!